2. PEOPLE IN SHELTER: 164. San Pedro and Caye Caulker has 9 persons in San Pedro High School; Belize City has 78 persons in Unity Presbyterian, St. John’s Vianney, and St. Luke. In Cayo Teakettle has 16 persons in shelter; More tomorrow still has 15 persons; St. Matthews has 31 persons; and Cotton Tree has 15 persons. 3. FOOD/WATER RELIEF OPERATIONS. NEMO National Relief and Supplies Management Committee (RSMC) through NEMO warehouses continue to distribute emergency food packs, tarps and plastic sheeting. BATSUB, BDF and UNICEF have been assisting people in the shelters. The Belize Red Cross, and USAID are supporting NEMO. a. WATER. Rural Water Systems UPDATE: Santa Familia system is still down, emergency water relief is being organized for those in need. Harvesting of rainwater is always encouraged. Bullet Tree Falls water system is now working. Sand Hill water situation is being addressed by BEL. The water main that supplies Philip Goldson is now at normal pressure. Double Run main water system has electricity. b. BWS - Belmopan and San Pedro are operating in low water pressure mode, as BWSL continues to repair leaks in those systems. Water systems in rural Belize District still lack electricity, therefore running on generators. c. ELECTRICITY - BEL UPDATE. 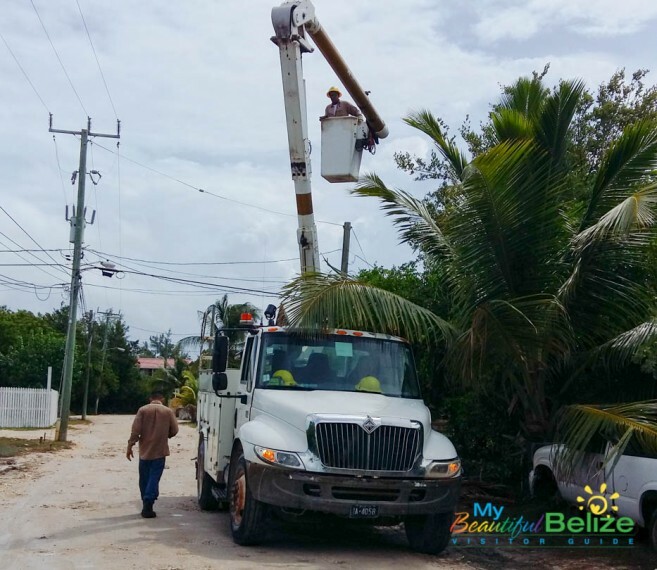 Today BEL concentrated on restoring power from Sand Hill to Maskall, Crooked Tree, Burrell Boom and surrounding communities; Boom road to Flowers Bank to Rancho and the remainder of Caye Caulker. There will be intermittent outages due to connections. e. Telecommunications Speed net – In Belize City Channel 5 site is repaired, while the Renaissance tower site expected to be repaired by Sunday. Independence site that was damaged Tuesday due to thunderstorm has been restored. Hopkins, Big Falls, and San Pedro North sites are fully functional power supply issues were resolved today. Two towers near JB on George Price Highway is down and currently undergoing repairs. f. BTL UPDATE - Customers in the following areas are experiencing little or no mobile voice or data service due to cell site outages (with estimated restoration times). Lucky Strike (Saturday, 6 pm). The cell site at Burrell Boom was completely destroyed. (August 16th uptime). Customers in the following areas are experienced limited or degraded services due to cell site outages. The cell site at Love FM was completely destroyed, therefore surrounding neighbourhoods may be affected (August 16th uptime). BTL is aware that there are a number of cut and hanging landlines impacting some customers and neighbourhoods. Actual numbers not available at this time. g. Sufficient Fuel oil stocks available. 5. DAMAGE ASSESSMENT: Immediate humanitarian relief assessments are in their final stages. There are a few communities with gaps that are being addressed. 6. CLEAN UP: Clean up in the city under Councillor Willoughby and CEMO continues daily until early morning. More people are ask to clean up their area and use the free resources offered by the downed vegetation. 7. HOUSEHOLD AND MATERIAL RELIEF OPERATIONS to commence this week. 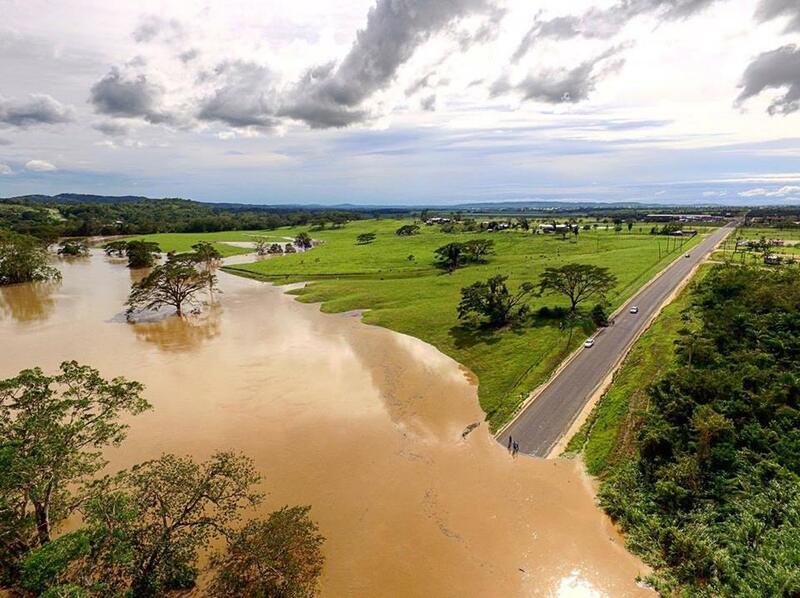 FLOOD OPERATIONS: People in the Belize District along the Belize River must take action as the flood waters are now swelling and expanding in the lower reaches of the Belize River Valley as it recedes in the Cayo District. In the Belize River Valley: Bomba, Maskall, St. Anns; Santana; Lucky Strike; Rockstone Pond and Boston Crooked Tree. Also of concern is St. Paul’s Bank; Willows Bank; Rancho Dolores; Double Head Cabbage; Bermudian Landing; Flowers Bank; Lemonal; Burrel Boom; Lord’s Bank; and Ladyville. There is one and a half feet of water on the road in Isabela Bank. Scotland Half-moon residents need to continue to move to safety; and in May Pen several families are cut off but okay. The Livestock holding facility near Double Head Cabbage is available to safeguard livestock. People living in La Democracia; coastal highway community; Gales Point; Mullins River; Gracie Rock; Hattieville; Freetown Sibun, and Butcher Burns are advised to take note. The Water is falling in Gracie and rising in Freetown Sibun. Road conditions: On the road to Challilo, Vaqueros Bridge is becoming impassable to traffic. MOW assistance is urgently requested. Spanish Lookout via Baking Pot Ferry and Iguana Creek Bridge are impassable at this time. The access route through Bullet Tree Falls village via the Bullet Tree Bridge is open. 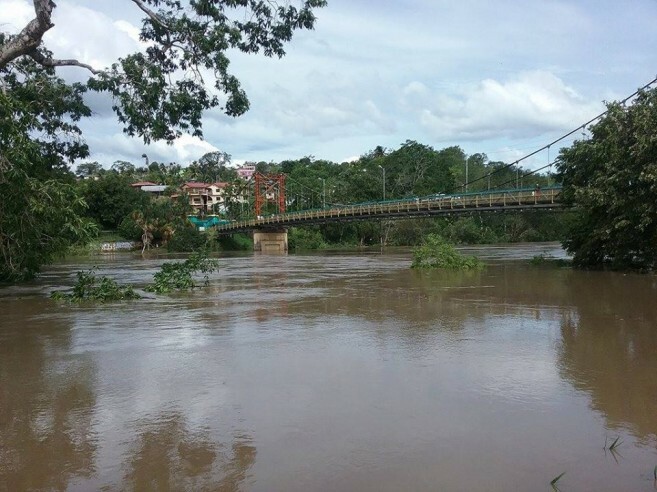 The wooden bridge in San Ignacio across the Macal River remains closed and is seriously damaged. DO NOT ATTEMPT TO CROSS THIS BRIDGE. Calla Creek Hammock Bridge has been destroyed. The Roaring Creek Bridge also remains open. The Manatee (Coastal) road is flooded at the bridge coming from the George Price Highway, access is open from the Hope Creek junction. In Maskal the river is 2.5 ft., under the bridge. In Bomba the river is 3ft above normal and rising. People living in these flood prone areas are being strongly encouraged to seek safety and move to higher grounds to protect life. Seek shelter with families or friends or go to a community shelter. MOVE OUT of areas that are likely to flood. Protect life first. Stay away from flood waters. Farmers with livestock take the necessary actions and seek safety and move them to higher grounds. Do not: cross flood waters, especially at night. Mariners are advised to exercise extreme caution while navigating in the territorial waters of Belize. The Authority is currently working on restoring all Aids to Navigation in the channels which shifted due to Hurricane Earl. NEMO Human Resource Management Committee continues to make the plea to those public officers who have not reported for duty in Belize City to show up. Your absence is causing a strain and fatigue on the dedicated Public Officers doing assessments, providing relief and managing the Shelter operations. AT THE TIME OF THIS REPORT THERE IS NO TROPICAL CYCLONE THREAT TO BELIZE. Listen to your local radio and television for further advisories from NEMO.